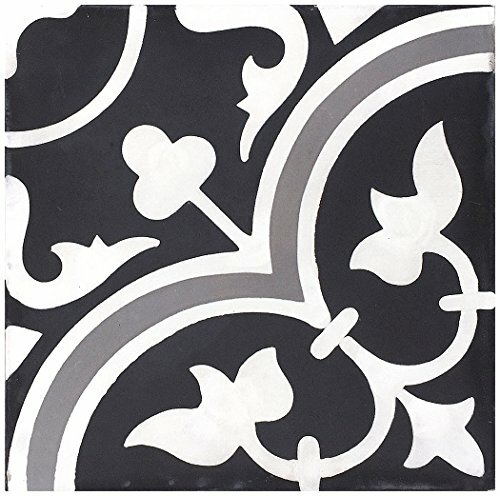 This beautiful 8x8-inch design features black, gray, and white colors. 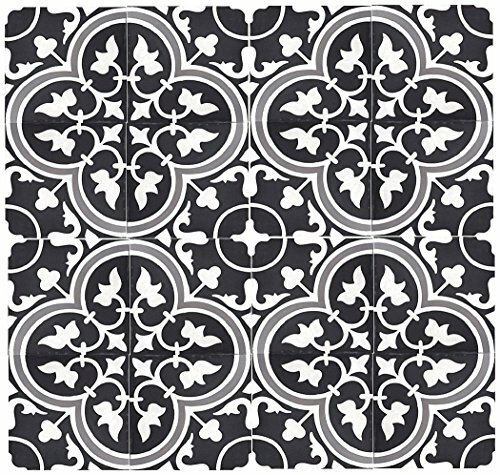 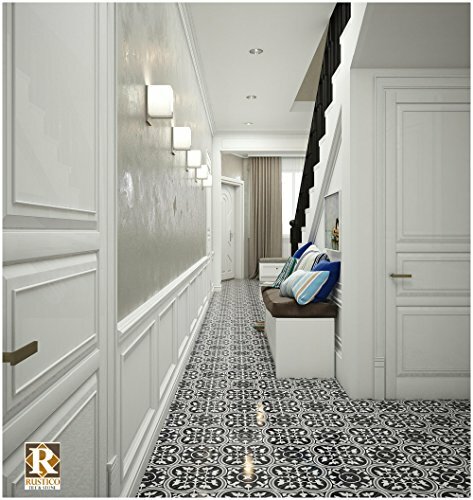 It is a high quality, handmade cement tile throughout the full body of the tile. 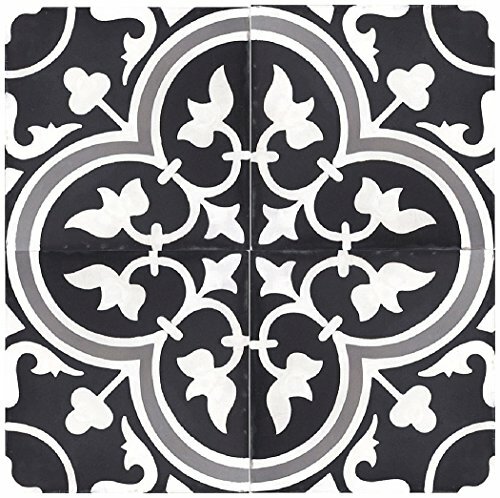 As handmade tile, there will be variations including size, color, texture, & color bleeding.